The martini glass has long been the predominant cocktail glass you can buy. In looking for glassware beyond the martini glasses, it’s tough to find great cocktail glassware. Mixing glasses are few and far between, but I found the one pictured on the far left on the Cocktail Kingdom website, made by Yarai. Where the Americans have been lazy about keeping up, the Japanese have made beautiful, sturdy mixing glasses. In talking with a lot of bartenders this seems to be a well-liked mixing glass. Finding variety in terms of cocktail glasses was even harder, but this is where the fun local aspect of this project comes in. Any trip to a local antique shop or flea market will yield a variety of unique glasses. Some in the photo above were hand-me-downs from relatives. One we picked up on our honeymoon at a flea market in Epernay, France. The rest I picked up at a local flea market called the Front Range Mercantile. The prices ranged from $.50 – $12. I’m excited as John has informed me he found some nice vintage glasses for me on his trip to Ann Arbor for work. I will have to reward him with some of the delicious cocktails I’ve been learning to make! Adding a mix of vintage cocktail glasses really makes a difference to your bar. Great article. 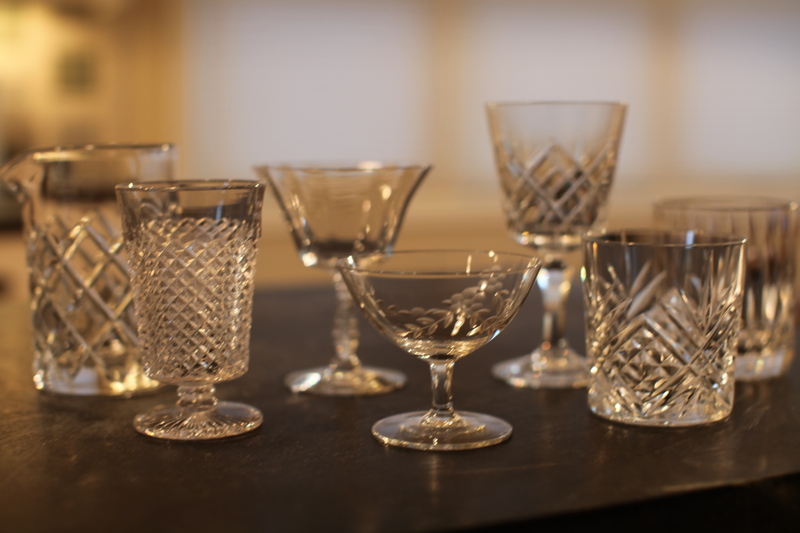 Check out this resource for vintage cocktail glasses. You are currently reading great cocktails need good looking glassware at 52 To Do.